The Holidays: A time for friends, family and beer. You are tops when it comes to great beer. Thanks for giving us beer drinkers the best. Thanks so much for the kind words. We love brewing and, at the end of the day, we hope it shows. A time for friends, family and beer. There's nothing like gathering around this time of year to enjoy the things that really matter with your loved ones. That is, until Uncle Petey starts rambling on about the time he got abducted by aliens. At times like that, a good brew by your side can make all the difference. We've got you covered this holiday season with a trove of freshly bottled brews that will make anyone merry. This national and international award-winning stout blends rolled oats with pale, roasted and caramel malts for a rich, velvet texture. In 6-packs at both breweries & select stores now. This very limited edition ale is a marriage of Double Icky IPA, Cerveza Chilibeso and Harvest Ale, handcrafted into a brew that celebrates our commitment to the art of craft beer. Available in limited 22 oz. bottles at both breweries & select stores now. Wassailing, as a tradition from Old England, is meant to celebrate good health, wealth and good fortune in the holiday season. This spiced holiday ale is one winter warmer that you won't want to miss. Each of the 300 limited edition 22 oz. bottles are handsigned by Tom. Available at Reno and Sparks breweries only. Hurry they won't last long. Hey, remember when the world was supposed to end last year? Well, it didn't. To honor our continued existence, we offer a brew based on the much loved Mayan Maybe, but not. It's an Old Style Ale brewed with cocoa nibs, molasses, vanilla beans, habanero chiles, maize, smoke malts and honey. Available December 21st in limited 22 oz. bottles at both breweries. Look for it at select stores shortly after that. 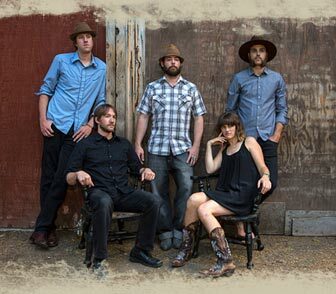 At our Sparks brewpub the Dead Winter Carpenters are ringing in the New Year with a live performance of original music in the spirit of American roots rock blended with alternative country. Join us for the complimentary champagne toast at midnight! Buy your tickets in advance by calling the Sparks brewery at 775.355.7711 or at the door! Our gift shop is packed with new and unique gifts for everyone on your list this year. Available this Friday, pick up a new set of commemorative Wooden Coasters. New T-shirts and sweatshirts in never-before-seen colors (well, they're new to our shirts anyway...hopefully you've seen these colors before). Great Basin Pancake Mix - go ahead, throw some beer in that batter. Keep your head looking nice with new Great Basin Beanies and Knit Hats. 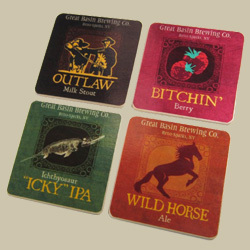 Great Basin Gift Cards. This year for every $25 you spend on gift cards you'll recieve $5 back in comp cards that you can spend after January 1st at our brewpubs. Come in from the cold and enjoy the comforts of The Brewer's Cheese Lava Loaf and Beef And Porter Stew, returning to the menu mid-December. We also have a new Greek Salad making its debut on the Great Basin menu. Great Basin will be closed at both locations on Christmas Day. However, we will be open on Christmas Eve until 4pm for eating, drinking and being merry (not to mention filling that growler). Come down and see us!